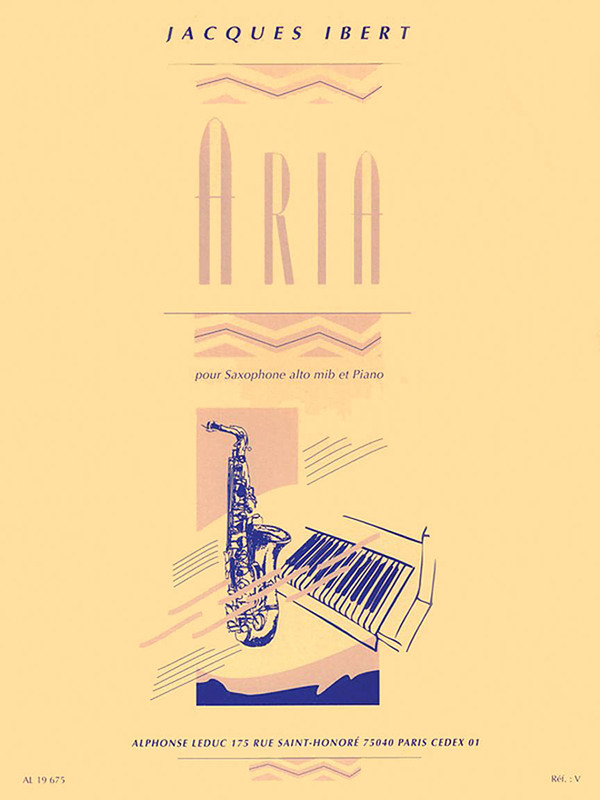 Aria; written in 1930 by Jacques Ibert (1890-1962); is a small study initially for voice and piano but arranged in this edition for alto saxophone and piano. 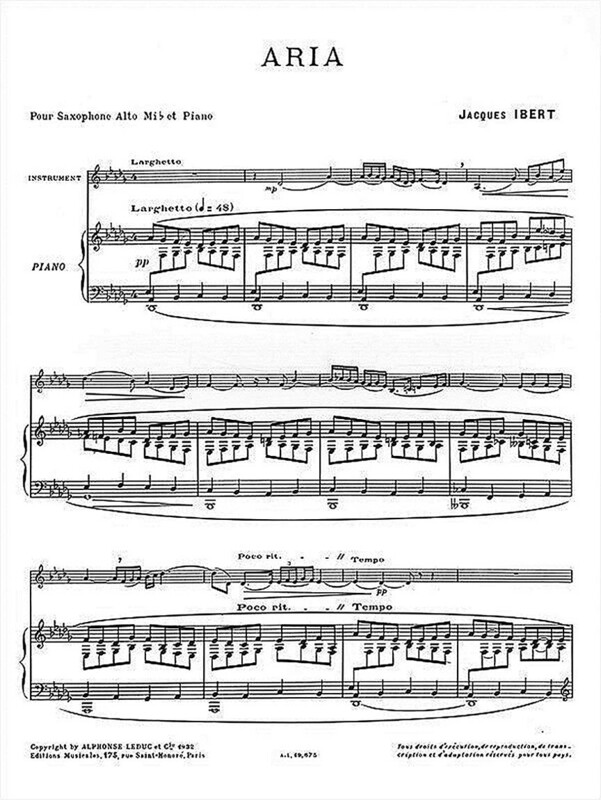 This version and the one for flute and piano are the ones most commonly used. The alto saxophone score is one-page long and contains technical difficulties that would make it ideal for an upper intermediate player. Its author; Jacques Ibert (1890-1962); was a neoclassical composer who won the Prix de Rome in 1919. He composed many symphonic suites; operas and seven orchestras; including 'Angelique' (1926) and 'Entertainment' (1930). He also was in charge of the Accadémie de France in the Villa Médicis (Roma) and was later administrator for the Paris Opera.